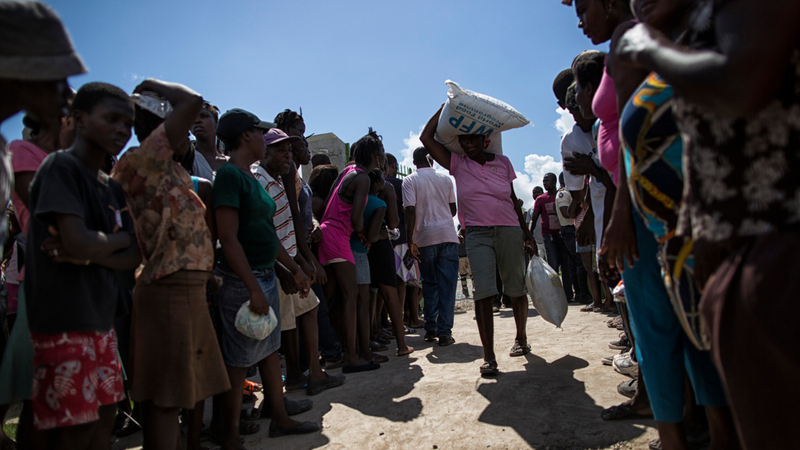 DISASTER RELIEF: The UN is working on disaster relief after hurricane Matthew in Haiti last year. In 2015, countries adopted a set of goals to end poverty, protect the planet, and ensure prosperity for all as part of a new sustainable development agenda. This is the overarching question in guest editors Jan Aart Scholte and Fredrik Söderbaum’s introduction to the hot off the press Forum for Development Studies issue. The editors note that the 2030 (post-2015) agenda has underlined the global character of contemporary development, and that The Sustainable Development Goals (SDGs) apply to countries in all world regions, not just those of the global south. ‘In addition, many development issues (climate change, health, migration, etc.) are increasingly framed as markedly global problems that need distinctly global responses. Global institutions and global policies are expected to figure prominently in providing those solutions. At the same time, global power shifts are introducing new state and non-state actors that recalibrate the dynamics of development politics,’ Scholte and Söderbaum write. This special issue of Forum for Development Studies debates how wide-ranging globalization affect research and practice of development from a variety of disciplinary, theoretical, empirical and policy angles. ‘The conversation comprises two main parts: a set of four shorter think-pieces by leading veteran observers of development; and a set of six longer research articles by prominent, especially Nordic, scholars. Initial drafts of all papers were presented at the third Nordic Conference on Development Research, organised by the School of Global Studies at the University of Gothenburg in November 2015. Together, the 10 writings provide provocative suggestions on future courses of development knowledge and action in a more global twenty-first-century world,’ Scholte and Söderbaum write. Overall, the special issue suggests that today’s global development agenda involves important and contested mixes of change and continuity. Access the introduction and the rest of the articles in the special issue here.